Welcome back to The Kitch! I hope everyone had a wonderful Thanksgiving. Now that Turkey Day is over, Hanukkah has begun and Christmas is in the air, it's time for Holiday recipes. I've been busy in the KLB kitchen working on seasonal dishes and treats — three weeks' worth. In the coming week I'll feature a few Holiday cookie recipes that are all simple to make and will wow your guests. 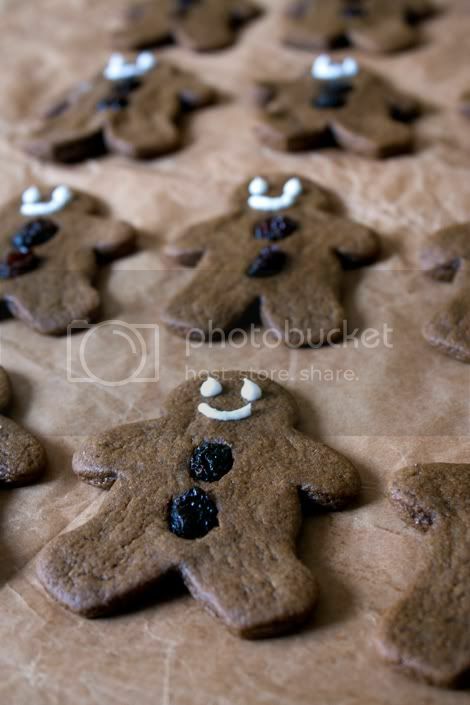 First up: Gingerbread Men (pictured above). Also this week: Green Things for your Holiday kitchen and table. On the week of December 12, I'll have some great main and side dish recipes to share. And the week of the 19th will focus on Hors d'oeuvres perfect for Christmas Eve and New Year's Eve parties. Have a fabulous weekend, and I'll catch up with you on Monday!